A terrorist attack or an honour killing, whatever motivated the shooter, three people were killed and five injured while riding a tram in the city of Utrecht this morning. The shooter was arrested in the evening after the city had been on lockdown for the better part of the day. The cathedral church of St. Catherine is to remain the seat of the archbishop of Utrecht. After several months in which the local parish explored possibilities and eventually concrete steps towards secularisation and sale of the mediaval church, the archbishop, Cardinal Willem Eijk, has now requested that that process be stopped and keep the cathedral open. In a statement released by the parish today, it is acknowledged that the plan for secularisation and sale, within the context of a larger building plan, was “understandable and also well though-out.” Were there no other mitigating circumstances, that would be enough for the archbishop to decree the secularisation and sale of the church. 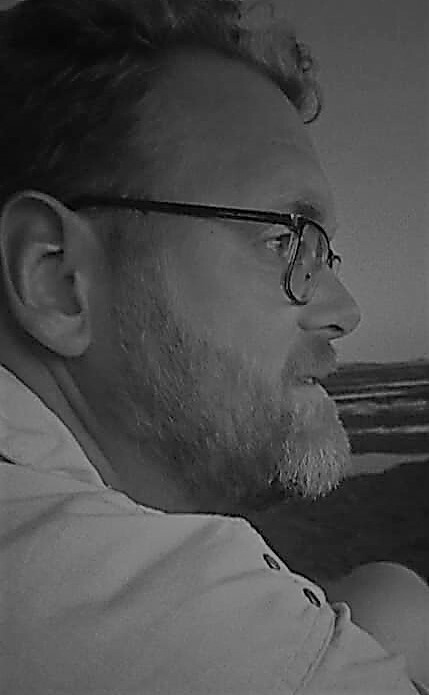 But the concerns and complaints which arose after it became known that the parish was planning to close the cathedral played their part and were reason for Cardinal Eijk to decide against it. The “more than regional import of the cathedral for the whole of the Netherlands, as metropolitan seat” was a deciding factor. 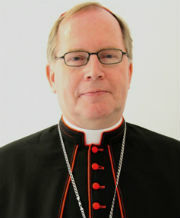 This decision is in line with Cardinal Eijk’s policy of handling requests from parishes to secularise church buildings. He never takes that initiative, but only considers requests, and when those are well supported and necessary for the future (financial) wellbeing of the parish, he usually agrees with what the parish has concluded is the right of action. In this case, the protests were serious enough for him to decide against secularisation. The depiction of Cardinal Eijk as a prelate ordering the closing of churches across his archdiocese is nonsense, then. This does leave the parish council with financial concerns, however. They had come to the conclusion that the cathedral had to go because they were unable to maintain two church buildings. They now need to find other forms of income. Cardinal Eijk sees this as reason to achieve a fast-track merger of the three city parishes of St. Salvator, St. Ludger and St. Martin. The parish council is also seeking increased cooperation with the adjacent Catherijneconvent museum to allow for improved public access and furhter integration of the cathedral in the monastic complex owned by the museum (the cathedral was originally the monastery church). There had been rumours that the cathedral would be sold to the museum for a symbolic sum. An archdiocese closing its cathedral. An unheard of development, surely? Not so in Utrecht, and it really is a logical conclusion in a diocese which is merging parishes and selling excess property: when it may be expected from a rural parish somewhere along the German border, why not from the inner-city parish where the archbishop happens to live? It must be added that no decision to actually secularise and sell the cathedral of St. Catherine has yet been made. But the parish council has seemingly announced its plan to ask the archdiocese to allow the secularisation and sale of the ancient church, in order to solve the financial dire straits the parish, which encompasses all of the inner city of Utrecht, finds itself in. 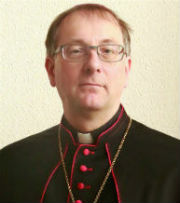 The final decision lies with the archbishop, Cardinal Willem Eijk, who usually agrees with such requests if the parish’s reasoning is sound. In this context, before anyone accuses the cardinal of willfully closing churches, even his own cathedral, it must be recalled that the archdiocese does not own her churches: the parish usually does, and they must finance the upkeep of sometimes ancient and monumental buildings in a time of decreasing church attendance and financial support from faithful. Surely, the loss of its cathedral is a monumental event for a diocese, and it does not happen frequently or easily. In the case of the Archdiocese of Utrecht, it will have to find a new cathedral for the first time since 1853: St. Catherine’s was the only choice to become the cathedral of the newly-established archdiocese as it was the only Protestant church in Utrecht given over to the Catholics in 1842. The Protestants had used the current cathedral since 1636, and before that it had a secular use. It had in fact only been Catholic for only the first 20 years since its completion in 1560. 1559: The church of St. John the Evangelist becomes the cathedral of the newly established Diocese of ‘s-Hertogenbosch. In Roermond, the church of the Holy Spirit is the new cathedral. 1661: St, Christopher’s in Roermond becomes a cathedral for the first time. 1801: Roermond is suppressed as a diocese, so St. Christopher’s ceases to be a cathedral. 1853: In Haarlem, the church of St. Joseph becomes the cathedral of the newly-established diocese of Haarlem. In Breda, The church of St. Anthony of Padua becomes the new cathedral, and in Roermond, the bishop’s seat is again established in St. Christopher’s. 1876: Breda’s cathedral of St. Anthony becomes a parish church again and the bishop’s seat moves to St. Barbara’s. 1898: The cathedral of St. Bavo in Haarlem, still under construction, becomes the cathedral of the Diocese of Haarlem, the only current Dutch cathedral built as a cathedral. 1956: The church of St. Martin in Groningen becomes the cathedral of the eponymous diocese. At the same time, in Rotterdam, the church of St. Ignace becomes that diocese’s cathedral and is renamed as Ss. Lawrence & Ignace. 1967: Rotterdam’s church of St. Elisabeth becomes the cathedral of Ss. Lawrence and Elisabeth. 1968: St. Michael’s becomes the new cathedral of Breda. 1970: The cathedral of St. Martin of the Diocese of Groningen is secularised, and later demolished. 1981: The church of St. Joseph in Groningen becomes the new cathedral of the diocese of the same name. 2001: The seat of the bishop of Breda returns to St. Anthony of Padua, which resumes the title of cathedral after having lost it in 1876. In the past centuries, there have been some changes in cathedrals in the Netherlands, with the Diocese of Breda taking the cake in number of switches: it has had three cathedrals – one of which twice – since 1853. Only in the southern dioceses of ‘s-Hertogenbosch and Roermond there has been significant stability. The only direct comparison to the developing situation regarding the cathedral of Utrecht is what transpired in Groningen in the 1970’s: the cathedral of St. Martin was closed in 1970, but remained the official cathedral until 1981, when it was demolished after having been deemed unsuitably to be rebuilt into the new university library. For 11 years, the Diocese of Groningen had a cathedral it no longer used, before another church took over the mantle. If Utrecht’s cathedral is closed and eventually secularised and sold, it is to be hoped that a new cathedral is found rather quicker. The most likely candidate is the church of St. Augustine, also located in the inner city of Utrecht, and the only other church in use by the city parish. 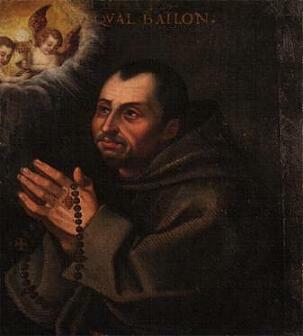 In the meantime, the announcement, which has not yet appeared officially in online media, has been met with sadness and disappointment, and the accusation that finances are the only reason for closing the cathedral, while its historical and religious importance for Catholics in Utrecht and beyond, as well as for all inhabitants of the city where St. Willibrord first established his see in the late 7th century, is being ignored. EDIT: Shortly after my posting this, the cooperating parishes of Utrecht published a statement on their website. In it, they state an annual deficit of more than 400.000 euros, with building maintenance costs as one of the major posts, as the main reason to want to close St. Catherine’s cathedral. The parish of San Salvator, which owns and uses both the cathedral and the church of St. Augustine, is not able to keep both churches open. The cathedral is substantially more expensive than St. Augustine’s, so the parish will, in due course, request that the archbishop relegate it to profane use, per CIC §1222. The parish has extended feelers to the Catharijneconvent museum, which owns the former convent buildings adjacent to the cathedral, as a possible future owner. Moving the function of cathedral to St. Augustine’s is a process which will involve the Holy See. The entire process is still in a preliminary phase and may take several more years to complete. Earlier this week, a group of 20 Dutch Catholics wrote a letter to the bishops of the Netherlands, asking them to take a position against the course on which Pope Francis is taking the Church. It made international headlines (such as on sensationalist LifeSiteNews). The letter lists a number of cases which prove their point, although some are rather far-fetched (they seem to see the Holy See’s acknowledgment of the existence of people such as feminists, Protestant, Muslims and homosexuals (let alone meeting them) as tantamount to supporting their ideas and opinions). The majority of points are related to the Church’s teaching on sexuality and that footnote in Amoris laetitia. All of their points, the writers say, can be summarised under the headers of Modernism and Protestantism. In this papacy, they see a resurgence of 1960s ideas which were buried under previous Popes. In favour of upholding the canons and decrees of the Council of Trent, following the example of Vatican II (Lumen Gentium); especially in favour of upholding the teachings regarding the supremacy of God’s Law above the subjective conscience. They also ask the bishops to join the request for clarification, the dubia, presented by Cardinals Brandmüller, Burke, Caffarra and Meisner. The signatories of the petition feel supported by comments made in recent months and years by Cardinal Wim Eijk, who has repeatedly argued that Pope Francis should clear up the confusion caused by different interpretations of Amoris laetitia. The four points mentioned above are misleading in that they assume that the bishops are currently not upholding these teachings. As current Church teaching stands, the bishops are upholding it, and while it is true that other bishops’ conferences are interpreting papal documents and statements differently, that does not change anything about the doctrine regarding human sexuality, reception of the sacraments and the relationships with people of other faiths. “This week, the bishops have sent a joint response to the signatories of the petition. Of course, it was never very likely for the bishops to sign on to the dubia in any public way. Which is not to say that they automatically disagree with any of them. As mentioned above, Cardinal Eijk has rightly been critical about the different interpretations allowed by Amoris laetitia and the lack of any kind of clarification from the Pope. But, and I think they are right in this, the bishops seem to be of the opinion that no doctrine has changed since Pope Francis was elected, and they have acted accordingly, at least as a conference. But the signatories of the petition write from a position which is not only highly critical of Pope Francis, but also from a world view which is wont to see conspiracies everywhere (with the traditional teachings of the Church as the main target of these conspiracies). This is a problem with a significant part of more conservative Catholic groups. They see enemies everywhere, and non-Catholics are especially suspect. This colours their views on ecumenism and relations with other faiths, as well as on people who do not live according to the ideals of the Church. So, while the petition is correct about the need for clarity, it presumes too much when it asks that the Church essentially stops talking to people with different outlooks (at least until they confess and convert). This negates the need for the bishops to agree to the petition, as they have already asserted that doctrine hasn’t changed, clarity is desirable in the case of Amoris laetitia, and cordial relations with non-Catholics are necessary and do not necessarily constitute any agreement with them. Like this post? Think of making a donation! It is also clear to Cardinal Eijk what such a clarification should say.